Introduction by Gilad Atzmon: Professor William A. Cook bravely examines the current AIPAC’s push for a war in the context of Jewish culture and heritage. He looks at The Golem of Prague - probably the first Jewish drone. Cook’s take is very interesting though I myself believe that ‘Sabbath Goy’ may be even a better description of subservient America. What we see here is an attempt to study Jewish politics in relation to Jewish culture something the anti Jewish Zionists and the Left have tried to prevent for years. 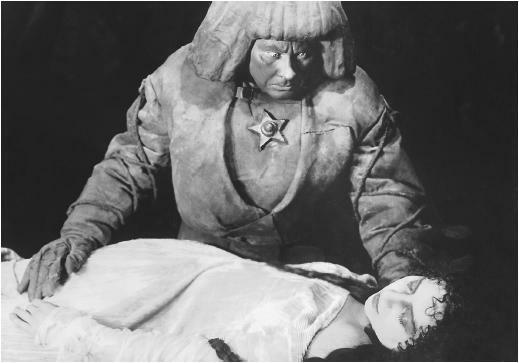 Today it seems the vision that formed the Golem in the mind of Rabbi Lowe has metamorphosed, like Kafka’s Gregor, into an ugly image unable to discern its own being even as it constructs a disassociated life pretending that all is well with the world. I see in this change AIPAC as the Rabbi, the controller of the Jews enlisted to his care, as the contemporary controller of all Jews in America and around the world. Like the Rabbi, AIPAC defines the victimized condition of the Jews despite their military and financial power, despite their possession of weapons of mass destruction, despite their ability to mobilize the greatest military the world has ever known, to mold America into its Golem as the Rabbi used his power over his monster, and all to wreck havoc on the Israeli world. Thus does the curse of the Rabbi bloom in our world and his caution to patience and kindness to the weak recede through indifference. ‘We write you as descendants of Holocaust survivors and refugees, whose ancestors were gassed to death in concentration camps,” said the letter sent Wednesday, on the eve of Rosh Hashanah. “We write you as a people who have faced persecution for many centuries, and are glad to have found a safe refuge where we can thrive in the United States…They called on Congress ‘with great urgency to authorize the President to use force in Syria ‘in connection with the use of chemical weapons or other weapons of mass destruction,’ as outlined in his August 31st draft legislation. Through this act, Congress has the capacity to save thousands of lives, (Israeli lives)” the letter said. (Cleveland Jewish News, 9/6/2013). This is not a prediction of the outcome nor is it truth. It’s the people of Syria and Iran who are now caught in the vice of Israeli and American power awaiting the slaughter from the skies that will wreck havoc on them and their families. The consequence of this attack is just as deadly to those caught behind the Auschwitz walls of the Syrian and Iranian borders as the victims of the Holocaust imprisoned behind the concentration camp barbed wire. All are dead and it is indeed the vanquished that know war. “For months, polls have shown that most Americans do not favor US military involvement in Syria’s civil war. Even with news of last week’s chemical attack – presumably by the Assad regime – that killed hundreds of civilians, the percentage of those favoring an aggressive US response increases only slightly, according to the most recent survey”(Brad Knickerbocker, August 29, 2013).